The 9th Meeting of the ENCALS meeting 2011 took place from May 13th to 15th 2011 in Hannover, the capital of Lower Saxony, Germany. 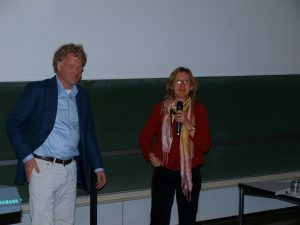 It was organised by Prof. Dr. Reinhard Dengler and Professor Dr. Susanne Petri of the Department of Neurology of Hannover Medical School. There were 6 oral sessions with different subjects: mutant SOD1 toxicity, novel therapeutic targets, disease mechanisms, clinical neurophysiology/imaging, genetics and role of novel mutations. There were also 4 guided poster tours and a nice social program with a visit to the Sprengler Museum. It was a very successful meeting and we would like to thank the organisers.